The Horror Section: A Bad Robot Mystery. 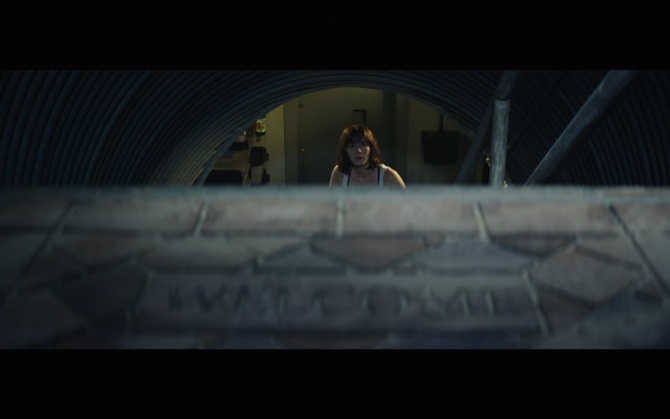 Two months ago, Bad Robot surprised everyone with a trailer for 10 Cloverfield Lane. Just as they did with the original Cloverfield, they were somehow able to shroud the entire production in secrecy – a feat that becomes more and more impressive with each passing year. Michelle (Mary Elizabeth Winstead) wakes up in an underground bunker after being saved by a man named Howard (John Goodman) who tells her that the world above them has ended. 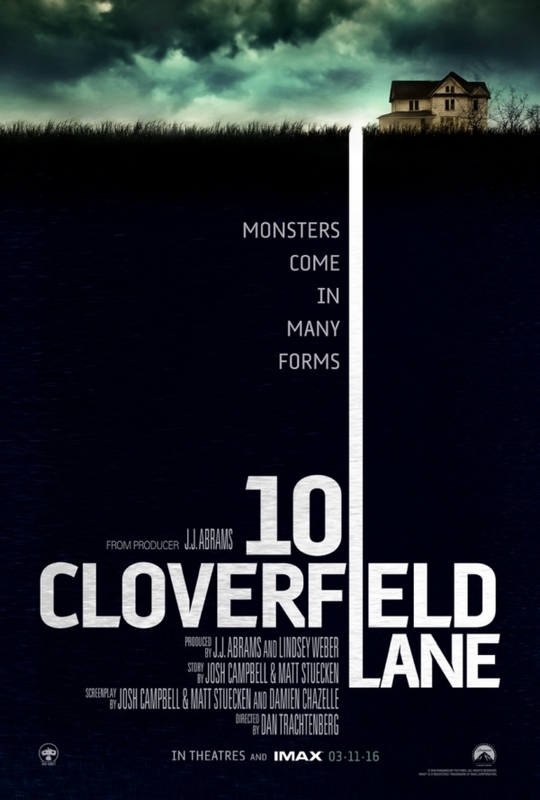 10 Cloverfield Lane is an interesting beast because it's a hybrid of two separate ideas. The project began in 2012 as a script called The Cellar, which was later re-appropriated to fit into the Cloverfield universe. I'll talk more about that later, but right now I want to focus on the piece's biggest strength. You've probably heard about how great John Goodman is in this, and I agree. Howard can be added to his long list of memorable characters. He's an unsettling presence throughout that you never really feel comfortable around because you are never quite sure if his behaviour is malicious or just plain awkward. As solid as Goodman is though, I also feel that Mary Elizabeth Winstead deserves just as much praise. She is one of a few actresses that can not only balance vulnerability and strength, but always remain grounded and relatable while doing it. Her role here just further cemented her place as one of my favourite actresses working today. The third player in the film, John Gallagher Jr. as Emmett, is also great as the intermediary between the two. Howard (John Goodman) & Michelle (Mary Elizabeth Winstead) in 10 Cloverfield Lane. With the help of the confined setting, director Dan Trachtenberg created some real tension here. After cutting his teeth on a decade's worth of commercials, this was a very competent debut. Given the piece's intimate tone, I'm very impressed he had the confidence to let his actors do a lot of the heavy lifting. I used to religiously watch a Web show Trachtenberg was on for many years, so it puts a smile on my face to know he's now finally achieved the things he always talked about doing. I was also happy that the trailer (I only watched the first one) didn't give away as much as it seemed to. While it is true the name Cloverfield, which implies a somewhat problematic expectation of the grandiose, does fly in the face of the straightforward character piece presented in the trailer, I do think they can co-exist. Regardless of where the story eventually goes though, I think there were some major improvements made from the original script, the best of which being the character of Michelle. She was a much better realized character here, which is in part due to rewrites, but mostly Winstead, the only actress who was ever considered for the role. To sum up, 10 Cloverfield Lane probably won't knock anyone's socks off, but it is a solid thriller that I feel gets most, if not all, of the important things right.